Getting back into the spotlight after an injury like that can be facilitated with the help of a podiatrist. They can help you rehab your foot and ankle injuries back to full form and allow you to get back to the game you love. People who are constantly on their feet are prone to a variety of injuries. 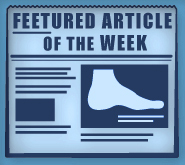 Whether it is a turf toe injury, or damaging fracture, or ankle sprains these can be very frustrating. Therefore, it is always important to keep yourself in therapy in order to get back on the right track quickly.